longside his friend Ted Hughes (No 4 in this series), Seamus Heaney was among the finest late-20th century poets writing in the English language. Heaney’s greatness was cultural as well as lyrical: he saw it as his inescapable duty to attempt a mood of reconciliation among his community. His work, rooted in his native Ireland, always had to navigate the murderous vicissitudes of the Troubles, the civil war that traumatised Northern Ireland for 30 terrible years, from the civil rights march of October 1968 to the Good Friday agreement of April 1998. To be a writer, especially a famous poet, in this war zone was to confront a challenge that was political, artistic and tribal. Both Heaney’s parents came from Roman Catholic families in Protestant Ulster. Throughout his life, his origins placed him at the lethal crossroads of sectarian conflict and Irish nationalism. That was an unenviable and dangerous location at the best of times, and he learned to become highly attuned to the history and heritage of oppression. He always contrived to move, as he put it, “like a double agent among the big concepts”. Rereading North, more than 40 years on, in the 21st century, it’s surprising to discover how raw and unguarded some of its emotions turn out to be. In North, an early collection, Heaney is not as diplomatic as he would later become, especially after winning the Nobel prize in 1995. In Whatever You Say, Say Nothing, he notes with dread the fearsome “eructation of Orange drums”, and describes the “crater of fresh clay” left by a roadside bomb, and the “machine-gun posts” set up by the British army. This, he says, is “our little destiny”. Heaney’s own destiny was to steer a middle path. “I am,” he wrote in Exposure, the concluding poem in North, “neither internee nor informer.” He would remain an “inner émigré” for the rest of his life, steadily articulating a vision of Ireland that, finally, coheres into a most resonant and seductive myth. He never denied the tragedies and violence that blighted the lives of an Irish generation, but he linked the darkness of his own times to memories of English and Scandinavian invasions from the past, as if to suggest that lives conducted in extremis, on the edge, have more to teach than visions of the pastoral. Indeed, Heaney finds a kind of consolation in the savagery of the past, and locates this in the narrative of PV Glob’s The Bog People, published by his Faber editor, Charles Monteith. This popular but scholarly account of the discovery of Tollund Man, and many related victims of prehistoric rituals and forgotten atrocities, was notable for its graphic black-and-white photographs of bodies that had become perfectly preserved in the peat bogs of Denmark. Glob’s Bog People directly inspired four poems: Bog Queen, The Grauballe Man, Punishment, and Strange Fruit, as well as references to primitive violence in Funeral Rites and North, the title poem. These follow Tollund Man, which had appeared in Wintering Out(1972). In North, these horrific images have begun to acquire a much deeper meaning for the poet, supplying what he identified as “symbols adequate to our predicament”. Critics will doubtless continue to argue about the focus and subject of that “predicament”. 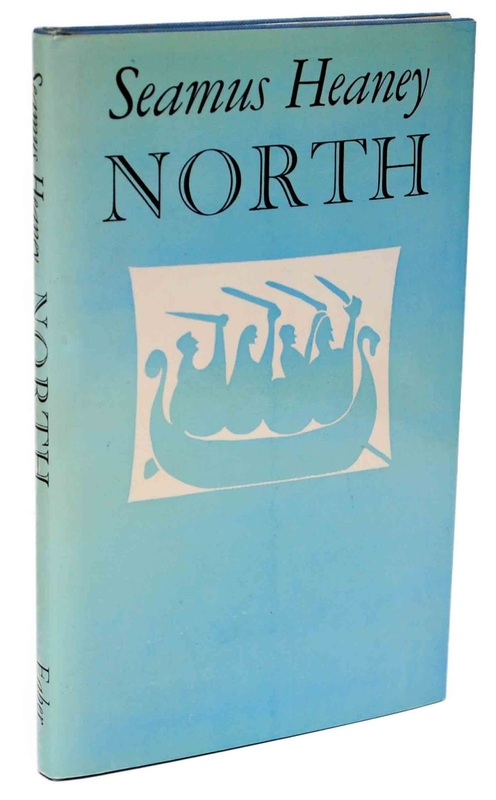 Was it addressed to “the north” as a whole, or just the Roman Catholics of Heaney’s province? The poet himself never wanted to be drawn into that argument. Now that he is dead, too young at 74, the question is academic. Besides, shading into art, North transcends politics. Some readers will prefer his first collection, Death of a Naturalist, but for me it’s the brilliant reconciliation of art with politics that sets North apart from the rest of Heaney’s oeuvre and gives it a kind of dark majesty. In Death of a Naturalist, he found his voice; in North he put that voice to the service of his people. He told me: “Your language has a lot to do with your confidence, your sense of place and authority” and added that speaking his own language, Irish English, was to acquire a trust in the pronunciation and in the quirks of vocabulary, and “to go through a kind of political reawakening”. We hadn’t named it: the ministry of fear.